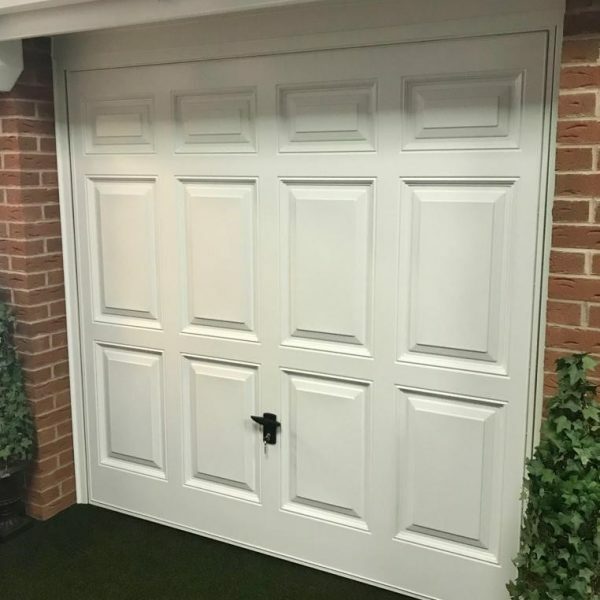 Impact resistant white garage doors which closely match to white PVCu doors and windows. ABS doors are made from a tough, yet flexible material commonly used to make car bumpers, so when it’s knocked, the door panel flexes then bounces back as good as new. Fully bonded steel stiffeners at the rear of all ABS doors reinforce the panel and help protect against forced entry.